Do you often find yourself daydreaming about doing something completely new and exciting? Teaching English as a Foreign Language is an excellent way to break away from the daily grind and see the world, while having the stability of paid work to support your travels. Teaching abroad presents an amazing opportunity to immerse yourself into a completely new culture and experience a different way of life. From working with experienced and highly qualified TEFL teachers, to observing your peers, to personalised feedback, we are there to ensure you feel supported throughout your experience. Our courses have been specially designed to ensure you feel total confidence when you step into your first TEFL class. Choose from as little as a 20 hour weekend classroom TEFL course, to a combined online and classroom experience with our 140 hour Premier TEFL course, we offer a range of courses to suit everyone. With up to 6 months to complete your online training course, even people with the most hectic of schedules can complete a TEFL course with us. Once you complete your training course and pass with flying colours, you can use our exclusive TEFL Job Centre to search and apply for teaching positions around the world! And don’t worry if you don’t know any foreign languages; TEFL teachers only need to speak English in the classroom. Our 20 hour intensive TEFL course in Reading is held over selected weekends throughout the year. During the classroom training course, you will learn all the tools you need to become a TEFL teacher. Expect to learn about modern TEFL methods, refresh your knowledge of English grammar and plan your very own TEFL lessons. The TEFL course in Reading is also a perfect opportunity to meet a new bunch of like-minded people to add to your contacts. Our TEFL course tutors are all highly qualified and experienced TEFL industry professionals. 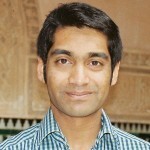 Our TEFL courses in Reading are normally held by Asif. Asif has a degree in applied Linguistics and in Secondary Education. Over his 10 years as a teacher, he has worked across Europe and Asia and also the Middle East! Q1. What is the classroom schedule for the 2-day weekend course in Reading? Q2. How many people will there be in the Reading TEFL classroom course? Q3. Are there any assignments given during the classroom course? A: For the classroom part of the course, as long as you successfully participate in all of the activities then you should pass the course – this is at the discretion of the tutor. Q4. What does the price of my course include? A: The price of the course is all-inclusive, so there will be no sneaky hidden charges! You will receive a free TEFL certificate recognised internationally, free course materials, free lifetime access to our TEFL jobs centre and your coursework will be personally marked by our experienced tutors. It’s hands on! We believe that it’s so much more effective to be involved in practical activities rather than just listening to somebody lecturing at you. This is why during your TEFL course in Reading, you will be kept on your toes with activities and games to help you retain the information you learn.